The Rio Yanatile starts in the highlands of Cuzco and cascades off the eastern flank of the cordillera into the steamy jungles below. The run was first attempted in April of 1995 by a group of three kayakers. 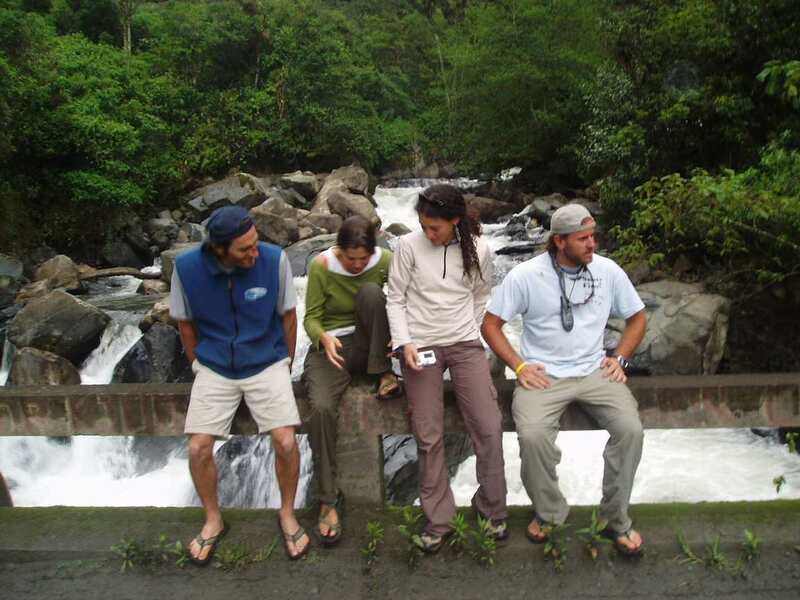 In November of 2001 I was joined by another group of four kayakers and together we ventured into the headwaters. The relentless gradient combined with tight canyons and logged choked jungle style rapids made for a rapid bailout. Below the gnarl is a much more reasonable stretch of whitewater that eventually flows into the Urubamba near Quillabamba. From Cuzco the best way to get to the river is via a private car or a hired van. It is a nice paved road from Cuzco to Pisac and on the Calca which resides along the banks of the Urubamba/Vilcanota River. From here the road turns to gravel and the climbing begins. 8 KM outside of Calca you will pass a commercial, and when we passed crowded hot spring. As you climb above 3000 meters you will come to a major fork in the road. Both forks continue to climb up and over separate passes then rejoin 50 km away on the other side of the divide. The left fork is to Lares and crosses Abra Hualcapunco at 4400 meters before descending to village of Lares at 3250 meters. The right fork goes to Ampares and crosses a separate pass. Here is Lares, 3-1/2 hour drive from Cuzco is a nice commercial hot spring. We arrived at night, were able to camp under a thatched roofed building and soak in the springs all night for free. The river descending at this point is called the Rio Lares and although small and steep is boat-able in sections for next 30 km or 1-1/2 hours in car we came to confluence of Rio Ampares coming out of the other pass. Here the river changes names to Yanatile and has substantially more water. After the river confluence the first km is steep and gnarly 400 + FPM insanity right up to Puente Manto. From here the river drops at a more reasonable 250 + FPM and estimated flow of 500 CFS. The road basically parallels the river but both are often hard to see. This area is high jungle rain forest so rain, fog and high humidity can be expected. Water levels change rapidly and trees in the river present and ever present danger. As you drop in altitude the river gradient backs off and the volume picks up. 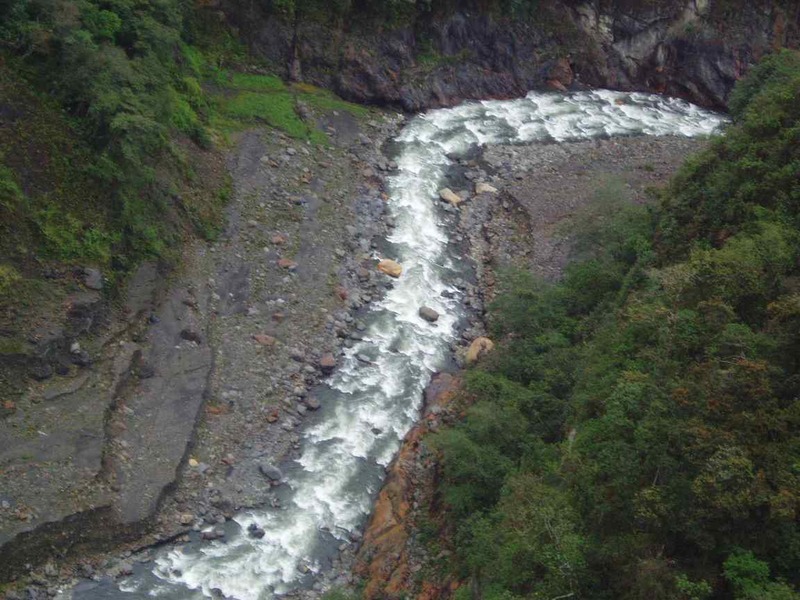 The road follows the Yanitile all the way to its confluence with the Urubamba. If you elect to return to Cuzco the road via Ampares is more direct and in better condition. Expect a four hour drive from Puente Manto to Cuzco.